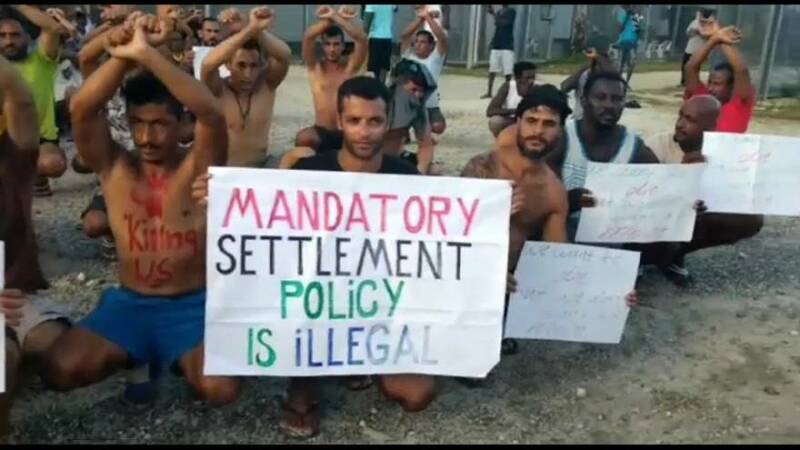 Police in Papua New Guinea have sealed off an Australian-run refugee camp in a bid to shut down the facility. by Australia and Papua New Guinea (PNG) to close it. Protesters claim police have confiscated their stockpiled food and water. The United Nations has described the standoff as a “looming humanitarian crisis”. It’s urged Australia to accept New Zealand’s offer and resettle the detainees, but Australia’s Prime Minister Malcolm Turnbull is standing firm. “They think this is some way they can pressure the Australian government to let them come to Australia. Well, we will not be pressured. I want to be very clear about this. Our border security, the integrity of our borders, is maintained by my government. It is maintained by my government and we will not outsource our migration policy to people smugglers,” Turnbull told reporters. They brought the buses inside the camp and dragged some guys into them. They taking us by force to town centres. They closed the gates of “Mike compound” and started beating guys. them to the offshore camps. Papua New Guinea also says the camp is illegally located on land used by its navy.